Skin goals... we all have them! Whoever your client is, and no matter what brought them to you, you want to ensure they are happy with their results... right? How are you educating your clients? The consultation is so important! 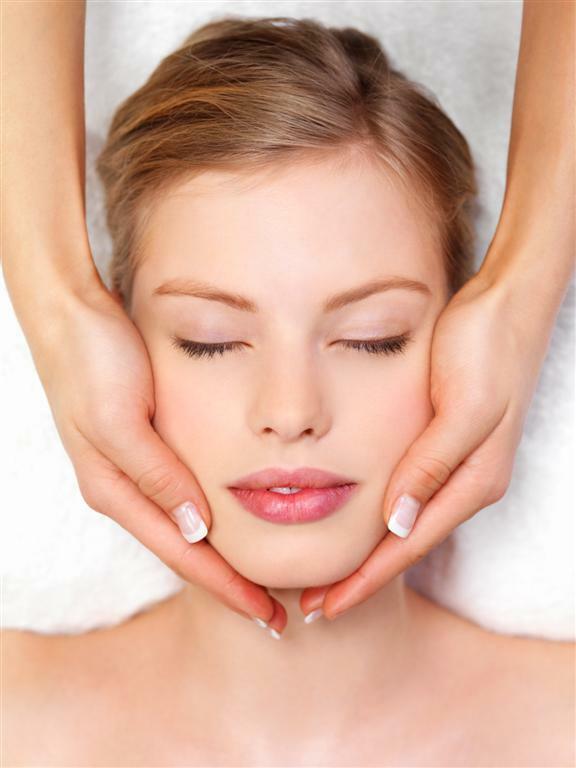 Before an esthetician even touches a client, they already have an idea of your skin type. By sitting down and talking about a clients skin goals, you are learning how you can help them. Everybody has different goals, and the experience is completely individual! We have some helpful tools that will elevate your consultation, and show your clients the benefits of their facial. 1) Use a Wood's Lamp! My pick is the Wood's Lamp by Equipro. A Wood's lamp is essentially a handheld black light, for your skin! It shows aspects of the skin that are not visible to the naked eye. Woods Lamps help gives a clearer view of what is happening. It will show oily skin, dead skin, sun damage, congested pores, dry skin, and other skin conditions. Pro Tip: Use the woods lamp before and after a client's first microdermabrasion treatment, to show the difference just one treatment makes immediately. Then offer a discounted package for clients trying this service for the first time. 2) Use the Bio-Therapeutic BT-Analyze / Digital Skin Moisture Analyzer. This little tool is a powerhouse! It uses advanced technology to calculate the moisture content levels of the skin. This device is used in multiple zones of the face to clearly define the needs of each area. Each reading is saved and displayed on the intelligent LCD screen so that it can be documented at the end of the analysis. This tool gives quick scientific guidance to clients and begins the process of making them an active participant in understanding their skin function and need for specific products and services to reach their goals. Pro Tip: Use this with your signature facial, before and after using your basic products. It is showing how well the professional products work, and helps boost your retail! 3) Sit down with the client, and use a Skin Scope! My pick is the Visiderm Skin Scanner by Equipro! This Skin Scanner uses black light and magnification to show a variety of skin imperfections that are undetectable with the naked eye. Your client can simultaneously view what the technician sees. It can help sell your esthetic products and services by revealing skin conditions to the client. Pro Tip: Boost client comfort during the consultation. Offer herbal neck wraps with infused water, to help relax your clients before the treatment, and after. Product Of The Week: Spa Masters Beauty Scope - Put Your Clients On TV! Showing your clients areas on their skin that may be congested or have other issues, is a powerful way to get them on a treatment routine. 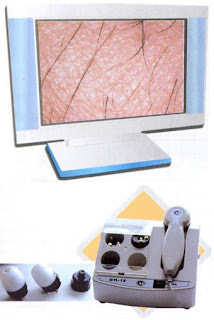 Skin Scanners use black light and magnification to show skin imperfections that are undetectable with the naked eye. Having the ability to show them on a larger screen, may make it easier for you to point out and explain the issues, and how you can help. The Spa Masters Beauty Scope Skin Magnifier Machine has the ability to be hooked up to a television, to make it that much more effective to your clients. With three lens options, you have your choice of 1X, 50X, and 200X magnification - you can get right on in there if needed! Looking to keep cash flow positive or just starting out, don't forget about financing options! Just a few treatments each month using the equipment can for your monthly payment! Skin Scanners Helps You Analyze Your Clients' Skin AND Generate Bookings + Profits! Client's Skin Damage with a Skin Scanner! Skin damage... everyone has some, but it is not always obvious to the naked eye. However, with the use of a "Skin Scanner", you can see dramatic indications of a variety of issues. By doing a skin analysis, you can advise your clients how to help reverse existing damage and prevent future skin damage... helping them stay younger looking and healthier. The Skin Scanner uses a special ultraviolet filter to reveal underlying damage in the skin long before it reaches the surface. The procedure is quick and completely painless. You ask the client to place face into the scanner. It will display problems in the form of different colors for different conditions. Blue is normal, but white indicates thickened skin, violet shows dehydration, yellow means acne, red indicates oiliness and dark blue pigmentation. 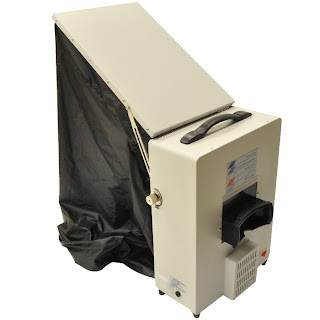 The skin scanner allows both the Esthetician AND the client to see the issues. By participating in identifying their own skin problems, your clients will be very open to your suggestions for helping as "seeing is believing". Think of a Skin Scanner as a Wood's Lamp that shares the results with the Esthetician and the Client simultaneously. 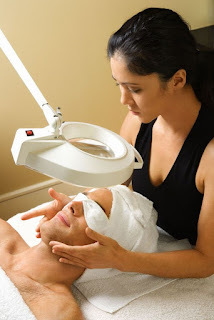 A 15 minute Skin Scanner consultation will all you to explain what clients can do to help their skin all without the obligation to book a facial treatment or purchase any products. But, but displaying the dramatic analysis to the client to see for themselves, Estheticians typically find very little resistance to move on to facial treatments and the sale of products to take home to help correct the issues. You'll find your return on the nominal investment in a Skin Scanner is phenomenal - in treatment bookings, retail sales and client trust. Re-scans on follow-up visits will clearly show the results of your treatments and use of the associated retail products. Most Skin Scanners are portable, allowing you to move them with ease from treatment room to treatment room for consultations.